What Does PCS Mean in the Army? 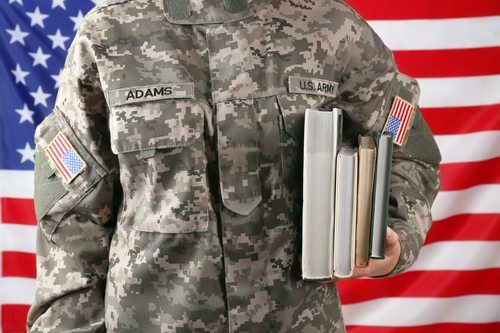 The military has a language all its own, and abbreviations and acronyms are common. What does PCS mean in the army? If someone tells you that you need to get ready for a PCS, it means that you’ve received Permanent Change of Station (PCS) orders, and you need to prepare to relocate. There’s a lot to think about. You’ll need to prep for the move. You’ll also have to figure out what to do with your current residence, and this can be especially challenging if you’re a homeowner or hoping to become a homeowner. Making an appointment with your installation transportation office as soon as possible. During the meeting, you will need to ask about your moving options and begin making arrangements for the move. Scheduling an appointment at your installation’s finance office. Moving is expensive. The finance office can explain your financial options, including any relocation benefits for which you might qualify. Reaching out to the family center at your new station. Family centers can provide you with invaluable information about your new community. They also offer relocation assistance programs. Deciding what to do with your current housing. The possibilities here will vary depending on whether you live in government housing, rent your residence, or own a home. SELECTED FOR YOU: How Often Can You PCS in the Army? Deciding how to handle your current housing is obviously one of the major challenges you’ll face as you prepare for your PCS. If you’re living in government housing, Military.com points out that you’ll need to inform the housing office that you’ve received PCS orders. Don’t forget to notify them of the date that you’ll be vacating and to review the regulations regarding moving out. If you’re renting from an individual or company, notify your landlord and make arrangements to leave. Selling the home. Selling the home retires your existing VA loan. This restores your entitlement, so you’ll have the option of using a new VA loan to purchase a home in your new location. However, selling can take time and effort. In addition, you may have to come up with funds to cover closing costs if you lack sufficient equity in your home. Selling the home with an assumption. VA loans are assumable, which means that someone else can take over your existing mortgage without the terms changing. Assumptions need to be coordinated with both the VA and the lender. The buyer doesn’t have to be a service member or veteran, but they do have to have appropriate credit and income. An assumption can be a fantastic selling point if you have a low-interest mortgage, but it’s important to note that it does not restore your home loan entitlement. 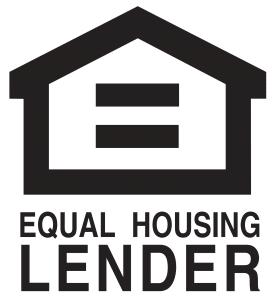 While you could use a different type of mortgage to purchase a home at your new location, you would not be able to qualify for another VA loan until the buyer closes out your original VA loan by refinancing or selling the property. Keeping the home without renting it out. What if don’t want to sell or rent out your existing home? You might want to use it as a second home or retirement property and be reluctant to take on the responsibility of being a landlord. If you can afford to support two households, keeping the home without renting it out is a possibility. Keeping the home as a rental property. A VA loan cannot be used to purchase a rental property. However, if you purchase a property and live in it before moving, you can rent it out and use the rent money to pay for the mortgage payment and other expenses. This can be a useful option if you’d like to hold onto the home because you hope to return to it sometime in the future or because the housing market is unfavorable. According to Military.com, you may even be able to qualify for a second VA loan to purchase a home in your new location. So what does PCS mean in the army? It means you need to prepare for an official relocation. When you receive PCS orders, your to-do list will quickly grow. If you have a VA loan and need help exploring your options, don’t waste time trying to figure out all the details alone. Schedule an appointment with PrimeLending: Manhattan, KS, and take advantage of our PCS with Me program. Every year, we help thousands of veterans and active-duty members of the military buy or refinance their homes through the VA home loan program. To learn more, please give us a call at 785-560-3011 or contact us online. It’s our turn to serve you!